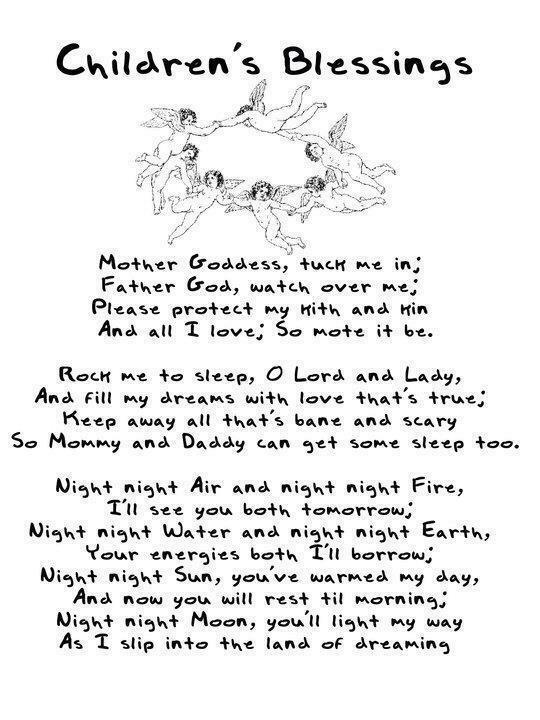 I stumbled across this bedtime prayer for pagan children. Even though I don't have kids, I love stuff like this (pagan blessings written with children in mind). I don't know who created this blessing - if you know who to credit, please share the info. This is a great blessing. I am always looking for things for my children to use and practice. I can't have kids but I was a pagan kid myself and remember how few blessings are for kids so I almost always fall in love with them!